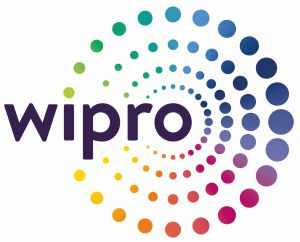 Wipro confirmed its IT systems have been breached and said it has hired a forensic firm, after cybersecurity investigation website KrebsOnSecurity reported that hackers had compromised the IT company’s systems and used them launch attacks on the firm’s clients. The site reported the Bengaluru-headquartered IT services company was ‘dealing with a multi-month intrusion from an assumed state-sponsored attacker’ and that Wipro’s systems were seen being used to attack at least a dozen of its clients. “We detected a potentially abnormal activity in a few employee accounts on our network due to an advanced phishing campaign. Upon learning of the incident, we promptly began an investigation, identified the affected users and took remedial steps to contain and mitigate any potential impact,” Wipro Ltd said in a statement to ET. KrebsOnSecurity had reported that Wipro was in the process of building a ‘new private email network’ because the intruders were believed to have compromised Wipro’s corporate email system. “We are leveraging our industry-leading cyber security practices and collaborating with our partner ecosystem to collect and monitor advanced threat intelligence for enhancing security posture. We have also retained a well-respected, independent forensic firm to assist us in the investigation. We continue to monitor our enterprise and infrastructure at a heightened level of alertness,” the Wipro statement added. The company is due to report its fourth-quarter earnings today. IT and business process management companies have flagged risks related to hackers. Last April, BPM company 7.ai said it discovered a hack that affected its clients such as Sears and Delta Airlines.